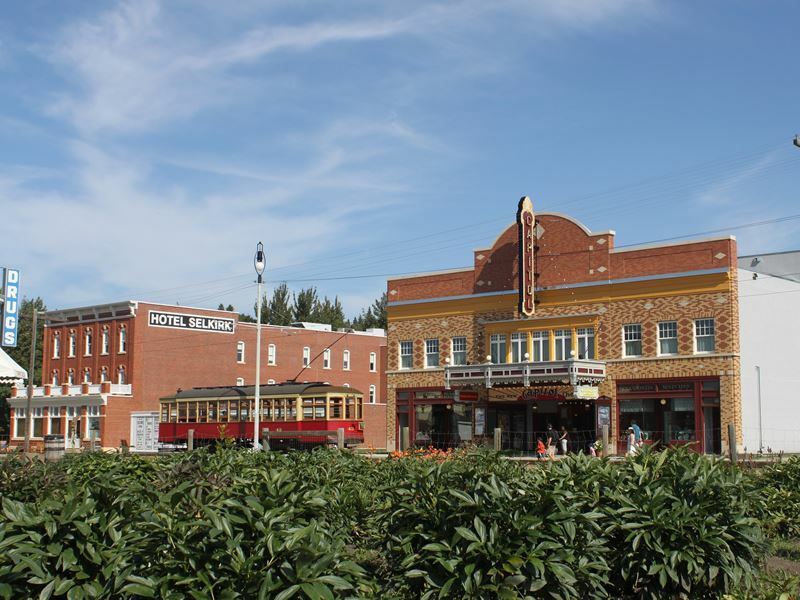 It’s all big-hitting UNESCO-listed heritage sites, wow-factor museums and forward-thinking interpretive centres in Alberta - the western province bordered by the mighty Rockies. We visit 10 of the best attractions in Canada’s most epic cultural hub. Where: At 9626 96A Street North West. What: Gardenista’s stomping grounds don’t get more futuristic than this eye-poppingly stunning botanical garden that sits south of the river off James MacDonald Bridge. Designed in 1976 by British architect Peter Hemingway, it’s made up of three city-operated greenhouses, gorgeous public gardens, and a series of four Louvre-like glass structures, all of which house different biomes. These include the Tropical Pyramid for delicate orchids, towering banana trees and huge palms, the Arid Pyramid for spiky cactus, exotic desert species and plants from hot and cold dry areas, and the Temperate Pyramid for Australian pampas grass and Eucalyptus trees. Highlights: It’s the fourth Feature Pyramid that gets all the love for its resident superstar Amorphophallus titanium (nature’s tallest flowering plant) as well as the dramatic rotating exhibits that change up to eight times a year. There’s also an outdoor gazebo, a gift shop selling plants, seeds and artisan crafts, and a trendy on-site café for freshly-prepared dishes created with herbs and leafy greens grown in the Muttart Greenhouse. The conservatory opens open daily from 10am to 5pm (until 9pm on Thursdays) and admission costs £8 for adults and £4 for children. Where: At 103A Avenue, between 97 Street and 99 Street. 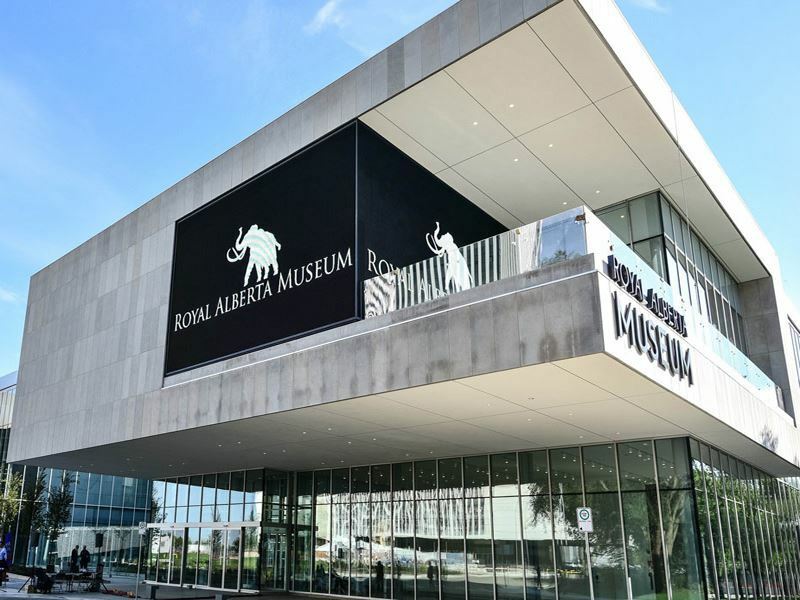 What: Royal Alberta Museum (RAM) in the heart of Edmonton's downtown Arts District is every bit as dazzling as its 48-year-old predecessor in the Glenora neighbourhood - just twice the size. 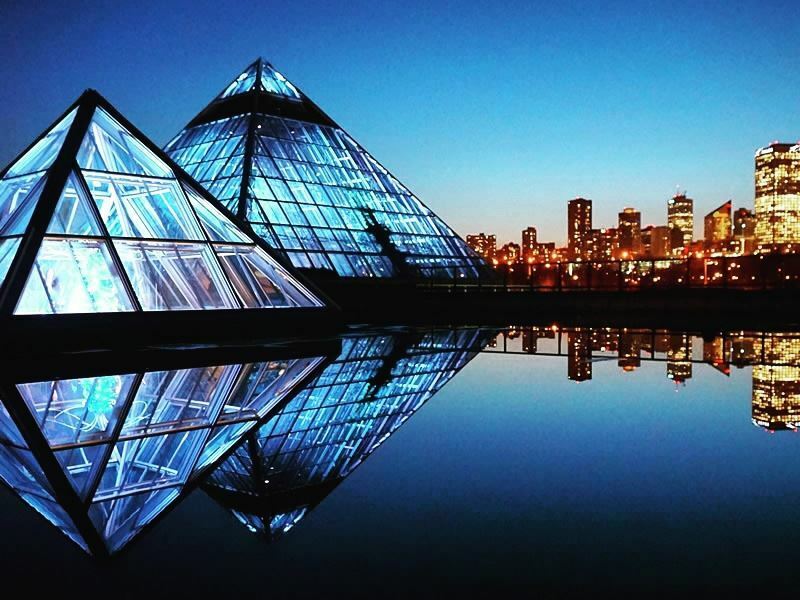 With an estimated price tag of $375 million, this is the largest museum in Western Canada - and the province’s greatest cultural attraction. Highlights: Having outgrown its 1960s-style building, RAM’s brand new home comes with high ceilings, limestone walls, granite flooring, and 13 new climate-controlled galleries housing not-to-be-missed artefacts and specimens that trace 11,000 years of Alberta’s First Peoples history. There are 406 brand new exhibits with 6,000 objects, dedicated museum “zones” (Natural History, Human History, Feature Gallery, Children's Gallery, Bug Room, Manitou Stone Gallery), a café, expansive outdoor gardens, and parking for approximately 3,000 cars. Where: At 111 Bear Street. What: Founded in 1968 by local landscape artists and philanthropists Catharine and Peter Whyte who built their house and studio on the Bow River, this unique museum houses around 6,400 paintings, drawings, sketches, photographs, sculptures, prints and mixed media works relating to the artistic and cultural heritage of the Rocky Mountains. Most impressive is the permanent collection by Canada’s most prolific painters (Marmaduke Matthews, F. M. Bell-Smith, Robert Gagen, and Thomas Mower Martin) - all of whom were commissioned by the Canadian Pacific Railway in a bid to promote tourism and offset the cost of the transcontinental rail line. 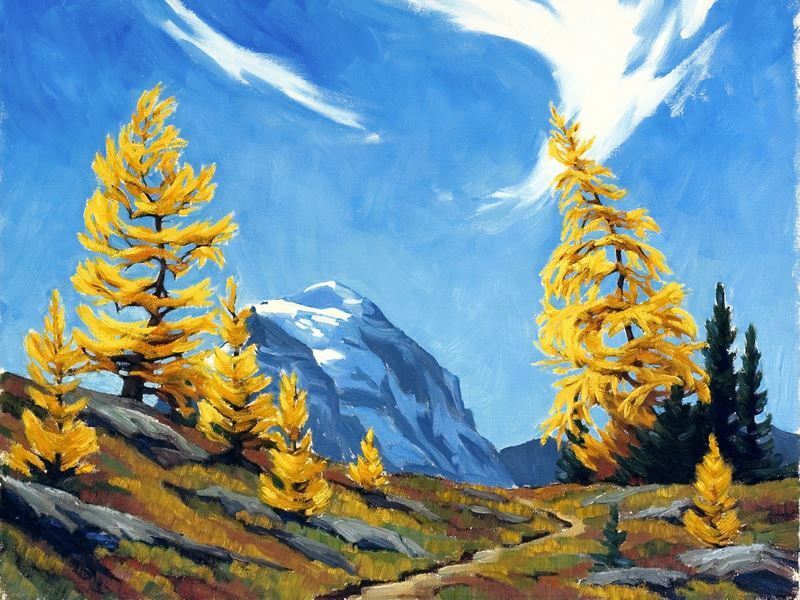 Highlights: After working your way through 500,000 images in the photography archive (you can even order reprints), spend time marvelling at works by The Group of Seven - the group of landscape painters whose activity between 1920 and 1933 had a significant impact on the Canadian Art movement. There’s also wonderful one-off exhibitions and events throughout the year, too. Where: 169 Canada Olympic Road South West. What: For a high-tech experience that puts you right at the centre of the sporting action, nothing beats this 40,000-square-foot facility at WinSport’s Canada Olympic Park - the site of Calgary’s 1988 Olympic Winter Games. 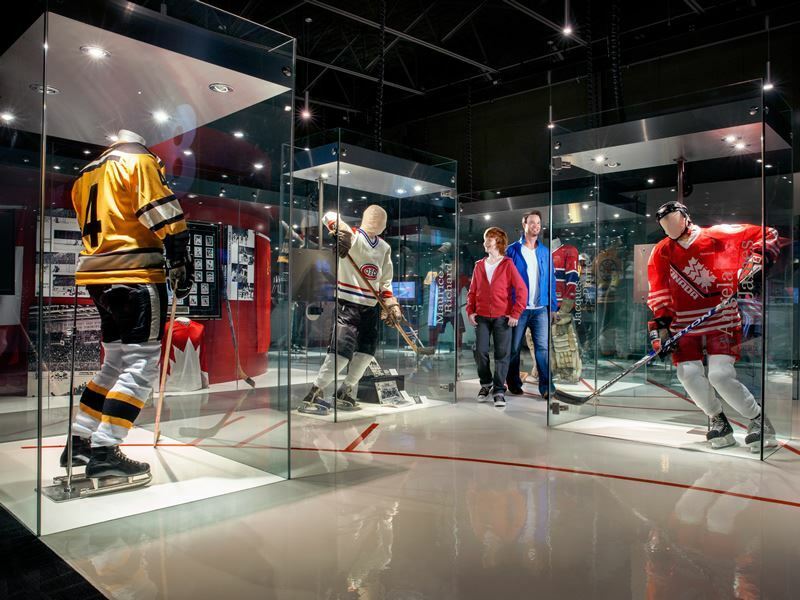 There’s all manner of state-of-the-art gadgetry in 12 interactive galleries as well as 100,000 artefacts, 52 hands-on exhibits (shadow boxing, ski jumping, wheelchair racing, 3D hockey), and 65 featured sports. Another huge draw is the 125-seat Riddell Family Theatre where you can watch a short film highlighting Canada’s best sporting moments (including Joannie Rochette’s emotional free skate at the 2010 Vancouver games). Highlights: Once you’ve challenged world heavyweight champ Lennox Lewis to a shadow boxing match in the Contact Gallery, head to the Bounce Gallery to practice your throwing, kicking, punting, spiking, dribbling, and dunking techniques. Further thrills include getting behind the wheel of a Formula One car in the Ride Gallery, sailing off a ski jump in the Glide Gallery, commentating on a famous Canadian sports event in the Media Room Gallery, and marvelling at the medals and torches spanning almost 80 years in the Olympic & Paralympic Gallery. Where: At 130 9 Avenue South East. What: There’s no shortage of visuals for art lovers, history buffs, and pop-culture fans at Calgary’s so-called cultural cornerstone; a four-floor space filled with over a million historical artefacts, 28,000 works of art, over 20 permanent collections, and an ever-changing schedule of travelling exhibitions. Opened in 1966 by oilman and philanthropist Eric Lafferty Harvie in a bid to make both art and history accessible and relevant, the museum has become one of Western Canada’s largest and most-visited - especially for those interested in learning about how the adventurous, hard-working and spirited Mavericks shaped the province of Alberta. Highlights: Starting on the top floor and working your way down, highlights include Treasures of the Mineral World for its amazing rocks, Niitsitapiisinni: Our Way of Life for the story of the Blackfoot people in their own words, and Many Faces, Many Paths: Art of Asia for over 80 Asian sculptures. To break things up a bit, you can crawl inside a full-sized tipi, walk through the replica of a turn-of-the-century railway car, and stock up on all sorts of hand-crafted jewellery and ceramics, home décor accessories, specialty books and unique toys at the gift shop. Where: Off Highway 785 West, 11 miles northwest of Fort Macleod. What: The name says it all at one of the world’s oldest, largest, and best-preserved buffalo jumps - the very spot where native North Americans spent thousands of years successfully hunting whole herds of bison by stampeding them over huge sandstone cliffs. Declared a World Heritage Site by UNESCO in 1981, the place where the buffalo plummeted to their death is a now must-see attraction with 11 metres of significant archaeological finds, a tipi campsite (in use from May to September only), and weekly ceremonial dances and drumming celebrations by local Blackfoot First Nation people (held every Wednesday in July and August). 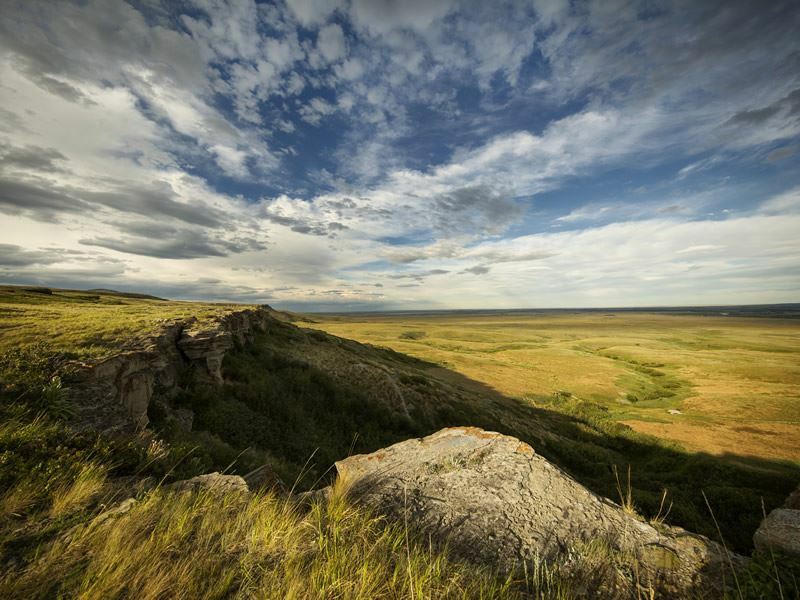 Highlights: Almost hidden in the cliff and intentionally barely visible from the outside, the $10-million, seven-storey interpretive centre (opened by the Duke and Duchess of York in 1987) does an excellent job of showcasing native life on the plains. You’ll find fascinating exhibits, a short film describing the hunt, and plenty of information about buffalo hunting culture and the work of the Head-Smashed-In Buffalo Jump archaeologists. There’s also the option to take the trail out to the jump cliff - or make your way to the bottom for a close-up of the butchering site. Where: At 7,000 143 Street. 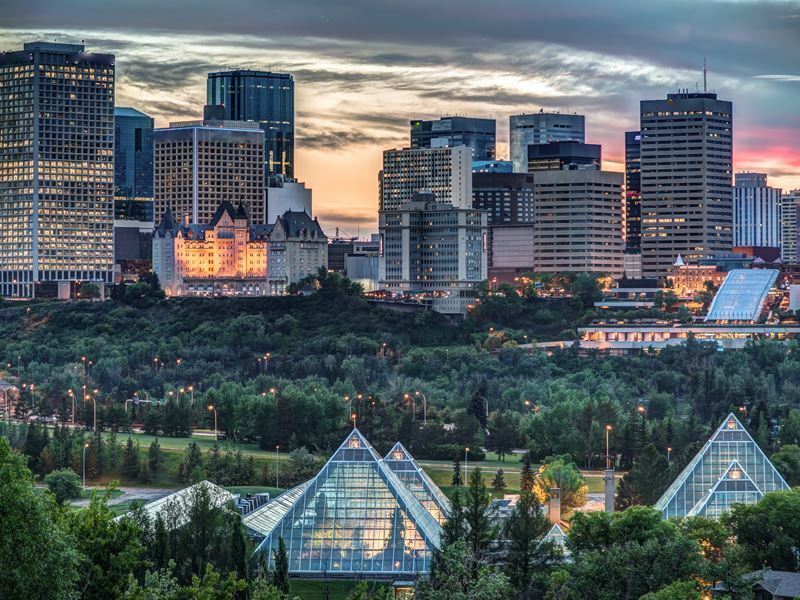 What: A rite of passage for Edmonton schoolchildren since its official opening in 1969, this 58-acre site set on wooded parkland in the North Saskatchewan River Valley is one of Canada’s largest living history museums. There’s four sections that reconstruct distinct eras of the city’s history (1846 Fort: The Fur Trading Era, 1885 Street: The Settlement Era, 1905 Street: The Municipal Era, and 1920 Street: The Metropolitan Era) as well as replica buildings, costumed performers, pioneer games, horse-drawn carriages, wagon and pony rides, and a fully functional 1919 steam train. The park is open from mid-May to mid-September only. Highlights: The true-to-life reconstruction of the old Fort Edmonton fur trading post from the turn of the 18th century is definitely the most interesting. Here you’ll find Rowand House (built in 1842 for John Rowand, Chief Factor of the Hudson’s Bay Company’s Saskatchewan District) as well as the Courtyard & Fur Press used for welcome ceremonies with traders and dignitaries. Equally brilliant are the Watchtower, Meat Store, Rundle House Chapel, Clay Bake Oven, Clerks Quarters, Meat Store, Boat Shed, and Blacksmith’s Shop. Where: Off Highway 22, eight miles south of Longview. 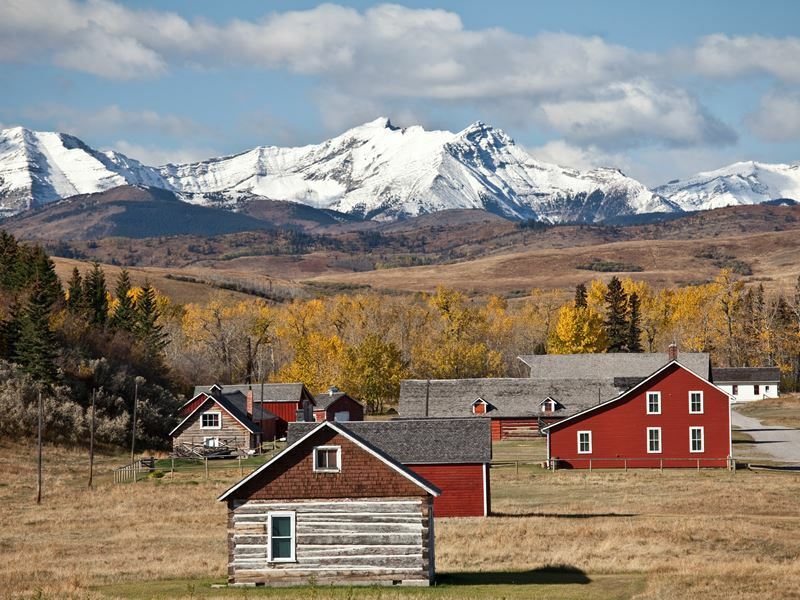 What: Established in 1882 and acquired by Parks Canada in 1991, this UNESCO-listed place was once one of the largest commercial ranches in the world. Nowadays, the site covers 367 acres of foothill landscape and hosts a variety of activities, educational programs and special events that allow visitors to experience what life was like for working cowboys in the Old West. There’s 35 historic structures (including a smithy, slaughterhouse, post office, and cookhouse), costumed interpreters demonstrating ranching skills (cattle handling, saddle making, roping, bridle repair), a superb visitor’s centre, and an on-site restaurant serving classic cowboy grub. Highlights: The wagonload of annual summer events celebrating all that’s great and good about ranching include the Chuckwagon Cook-Off & Pack Horse Race, the Historic Trail Ride, and the Chore Horse Competition. Most famous is the Old Time Ranch Rodeo - an exciting old-fashioned rodeo competition where teams of working cowboys from different Alberta ranches compete for silver Bar U belt buckles (and bragging rights) as their skills in broke horse racing, wild cow milking, team sorting, branding, and doctoring are put to the test. Where: At 1900 Heritage Drive South West. What: Nothing guarantees more How the West was Once® adventure than this 127-acre living museum set on the banks of the Glenmore Reservoir, along Calgary’s southwestern edge. 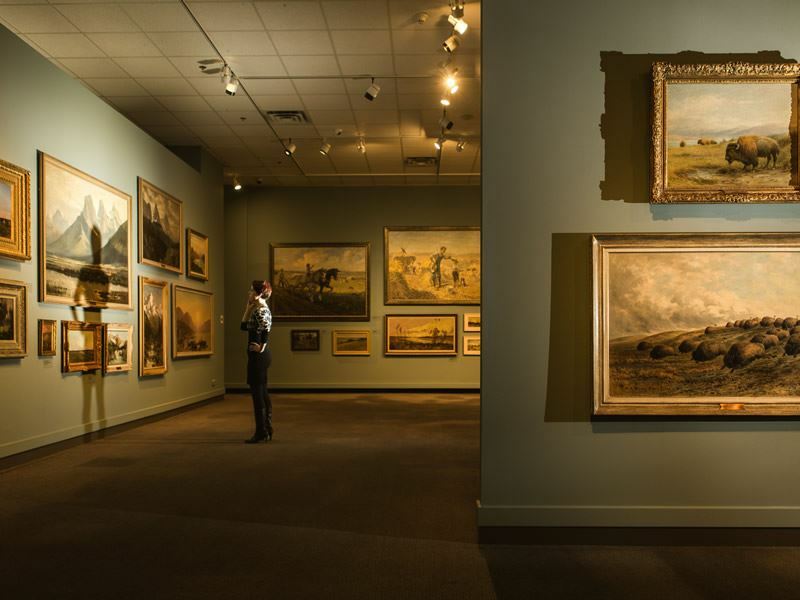 There’s 180 exhibits spanning Western Canadian history from the 1860's to 1950's (the majority of which are genuine 19th and early 20th century buildings transported to the park from elsewhere in the country) as well as horse and cart rides, and storytelling from costumed performers. You’ll get to make butter and ice cream with the prairie townsfolk, savour freshly-baked goodies from the Alberta Bakery, visit the First Nations encampment and antique midway, and set sail on Calgary's only paddlewheeler - a half-size replica of the original 1898 SS Moyie. Highlights: After working your way through the four main areas (Fur Trading Fort and Aboriginal Encampment, Pre-railway Settlement Village, Prairie Railway Town, and Heritage Town Square) is sure to check out the new Gasoline Alley Museum for one of the world’s largest public collections of antique vehicles and oil and gas related artefacts. Equally visit-worthy is the 1913 Little Synagogue on the Prairie - a historic wood-frame building gifted to the park by the Montefiore Institute and moved from Hanna in east-central Alberta in 2008. Where: At 1500 North Dinosaur Trail in Midland Provincial Park. What: Named in honour of Joseph Tyrrell - the geologist who came across the skull of a vast carnivorous dinosaur (brilliantly named Albertosaurus) in the Red Deer River Valley in 1884 - Canada’s only museum dedicated to the science of palaeontology is mind-blowingly cool. 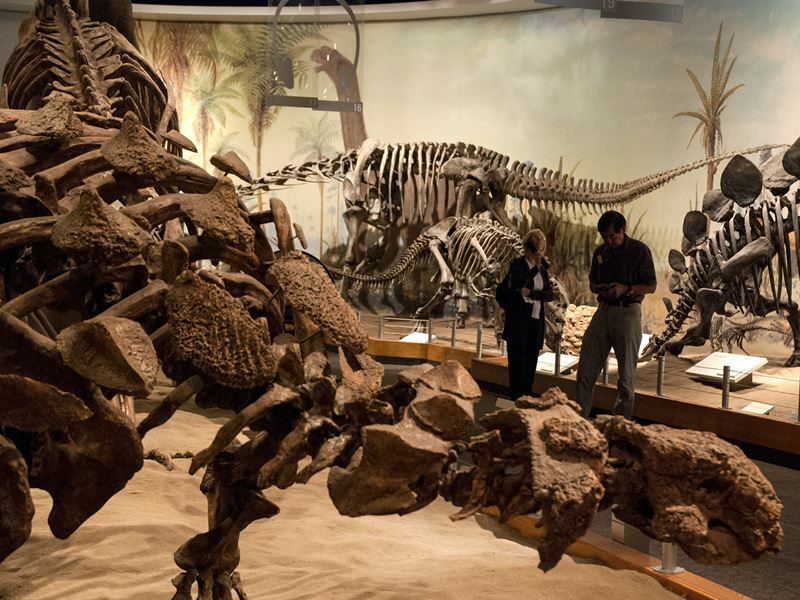 There’s 10 signature galleries, 40 dinosaur skeletons, 30,000-plus fossil specimens, and educational programs and state-of-the-art interactive experiences that bring the prehistoric past to life. Equally fascinating is the renovated climate-controlled Cretaceous Garden dotted with swamps, ponds, marshes, deciduous and evergreen trees, and 600 species of plants. Highlights: Most of the Jurassic-sized fun takes place in The Dinosaur Hall - a collection of 30 articulated skeletons that include Black Beauty (a 67-million-year-old Tyrannosaurus Rex) and Hell Boy (a dinosaur skull discovered by Alberta geologist Peter Hews in 2005). Further dino-centric thrills include hiking through the sandstone hoodoo rocks, learning digging techniques on a realistic excavation site, and creating a fossil cast to take home as a souvenir.